Some observations from my baseball life today…..
Today, Mariano Rivera gave up a game tying HR in the 9th to the devastating Miguel Cabrera. In so doing, he blew his 3rd save in 3 consecutive opportunities. That had never happened in Mariano’s 19 year career. Boy. Without Mariano, the Yankees might be shooting for championship #24 these days. He’s a true great and he could blow his next 10 saves without diminishing his luster. Rivera, you would have looked great in a Boston uni. Larry Colton, author of a baseball and Civil Rights book (Southern League) was on Book TV today. Colton has written a number of books but he was also a bonafide pro player in his youth, mainly in the minors. He did however appear in one game for the Phillies in which he struck out 2 in 2 IP. He K’d Vada Pinson and George Culver on May 8, 1968 as his Phil’s lost to the Reds 10 – 1. Colton’s cup of joe came after 3 years of apprenticeship in Eugene, Macon and with the old San Diego Padres of the PCL. Culver, his first victim, was a righty reliever who batted .124 lifetime. Not too memorable. Pinson, however, was a 4x All Star, a lifetime .286 hitter who batted over .300 four times. He led the NL in 4 key hitting categories 7 x: Runs (1), hits (2), doubles (2), and triples (2). Should Gil Hodges be in the HOF ? Some folks really care about this subject. Hodges was a wonderful player on a mythical team, a perennial contender, the Brooklyn Dodgers of 1947 to 1957. He hit 370 homeruns, was probably the best fielding first baseman of his era, and he was a very, very good hitter for 7 years. As a manager, he led the Mets from worst to first, flipping the oddsmakers on their heads in 1969 before he was taken suddenly by a heart attack in 1973, a middle aged man gone far too early. 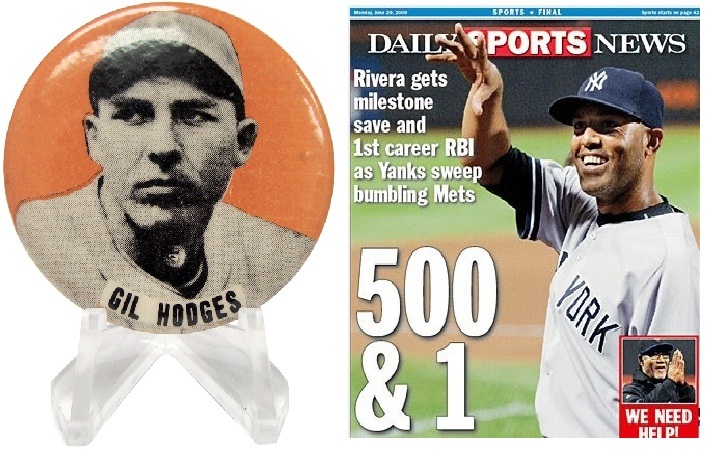 Unfortunately for Hodges supporters, he wasn’t great in his own time and thus isn’t a HOFer. Hodges never led the NL in a key offensive category like average, OBP, Hits, Walks, doubles, triples, stolen bases, runs scored or RBI. Not even once. He did lead the league in striking out once, sacrifice hits twice, and games played twice.